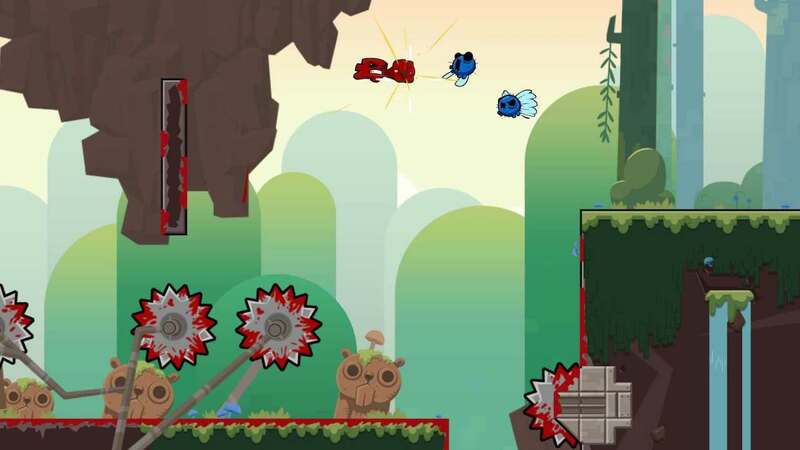 Team Meat has announced that Super Meat Boy Forever will release on Nintendo Switch next April, the sequel to their hard-as-nails platformer, Super Meat Boy. When Dr. Fetus kidnaps Meat Boy and Bandage Girl’s little baby called Nugget, they are forced to set out to rescue her – leaping off walls, dodging buzz saws, and performing incredible 2D platforming feats. However, this time around levels are dynamically constructed based on difficulty and, once you have beaten a level, it will reconstruct into a harder version. Meat Boy and Bandage Girl can now punch and kick their enemies, with the control scheme now requiring two buttons that will let players perform a jump, a jump attack, a dive, or a slide. Super Meat Boy Forever will release on the Nintendo eShop for Nintendo Switch worldwide in April 2019.